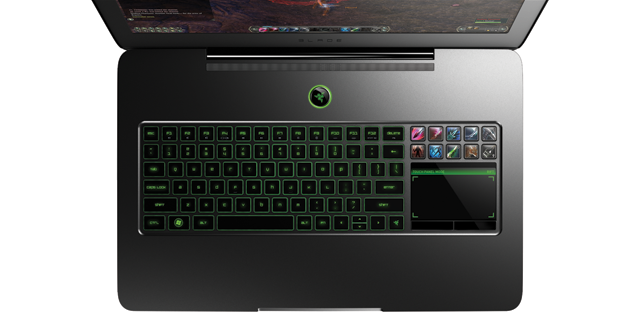 Razer has teased us long enough with its plans to create their very own gaming laptop, and now it's a reality. Razer has announced that it's stepping into the gaming PC business with its very own Blade gaming laptop and dubbing it "the world's first true gaming laptop". The Blade's enclosure is fully made out of lightweight, anodized black aluminum for that ultra stealthy gamer look, and is thinner than the MacBook Pro at just .88" thick which makes it the thinnest most powerful gaming laptop in the world. Even while being thinner than a MacBook Pro, the Razer Blade still manages to pack some heat under the hood though with some powerful specs including a 2.8GHz Intel Core i7 processor, 8GB of RAM, NVIDIA GeForce GT 555M with 2GB of video RAM. All of this is packed into such a slim form factor boasting a 17-inch LED backlit display at 1920x1080. These are some impressive specs for such a laptop. 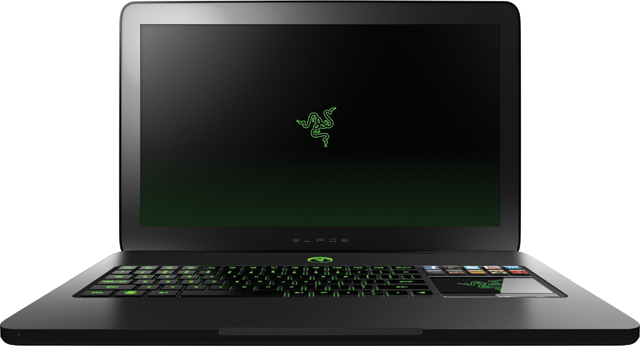 The Razer Blade's other notable features include backlit keys, the Switchblade UI with customizable tactile keys with matching graphic overlays that adapt to different games you're playing and a multi-purpose LCD panel that is touch-based and displays in-game information and can double as a multi-touch trackpad. Razer's ultra portable Blade gaming laptop will be available later this year for a staggering $2,799.